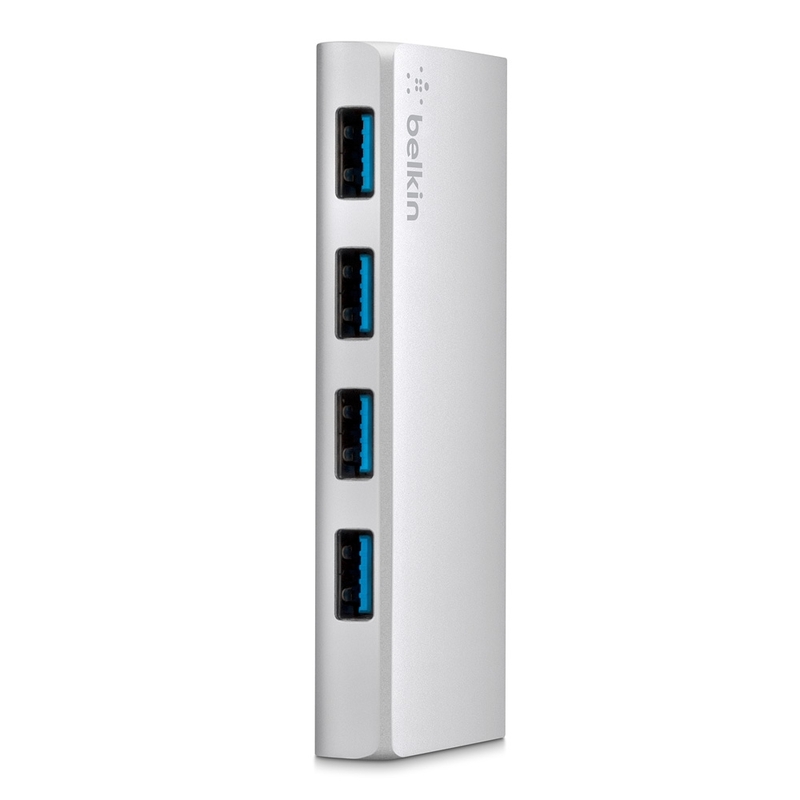 Increase your USB plug-in capacity by up to 4 ports. 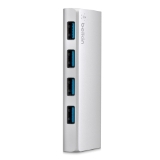 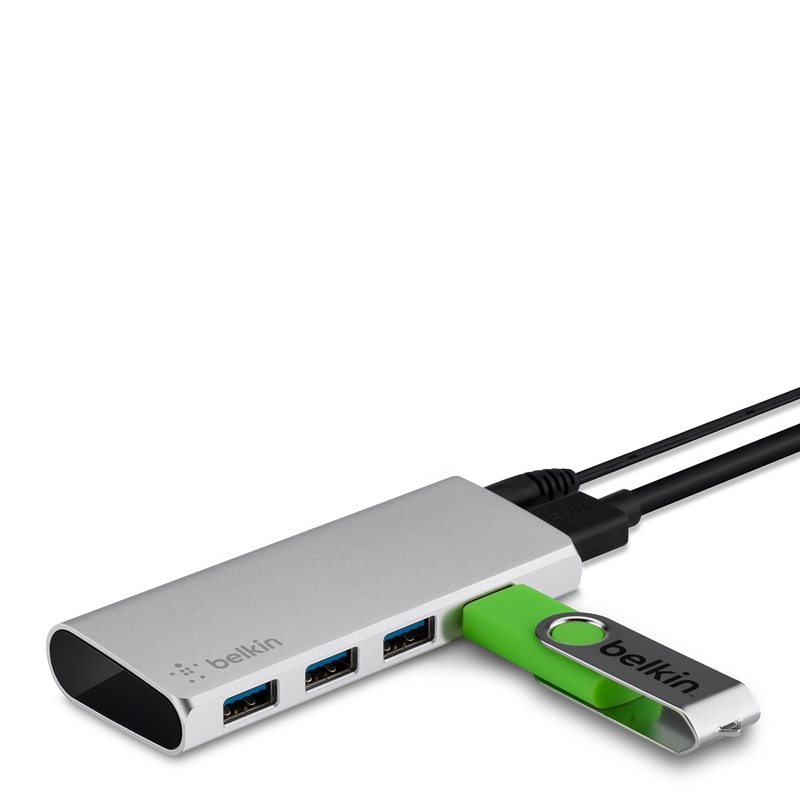 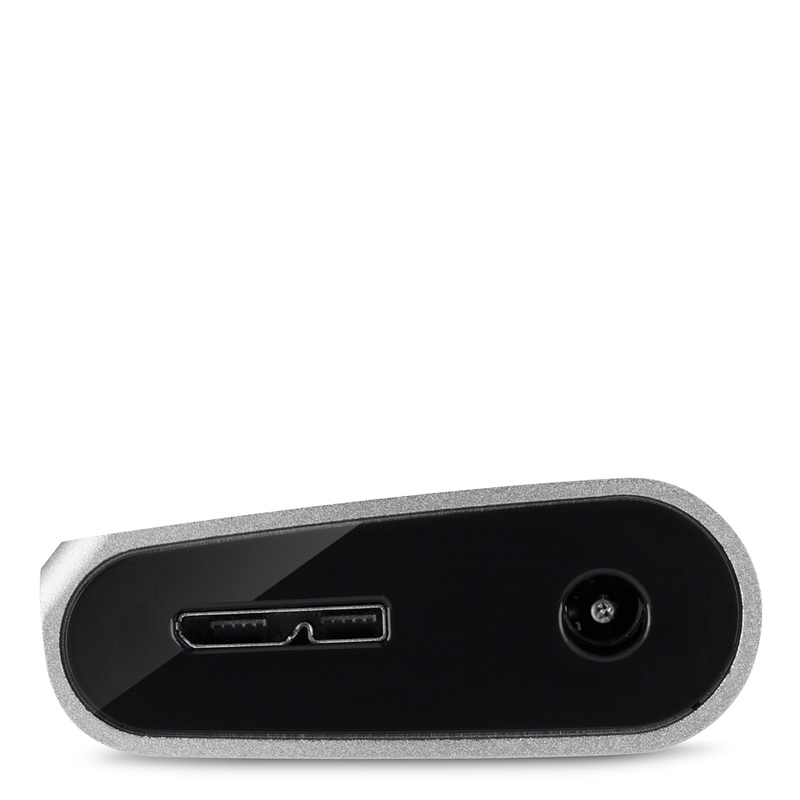 The Belkin USB 3.0 4-Port Hub provides 5 Gbps transfer speeds, which are 10X faster than USB 2.0. 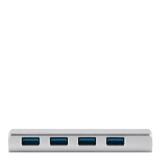 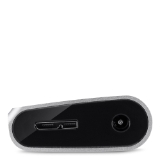 The USB 3.0 protocol also facilitates smartphone charging. Plug & play setup requires no software and is ready to go right out of the box. 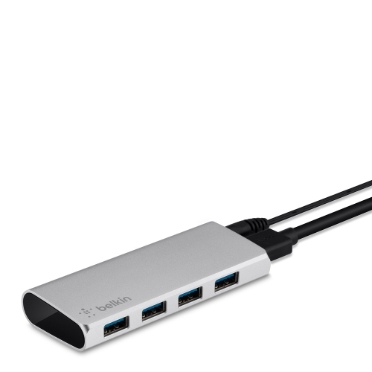 This powered hub is perfect for peripherals like USB 3.0 hard drives, digital and video cameras and high-resolution webcams. 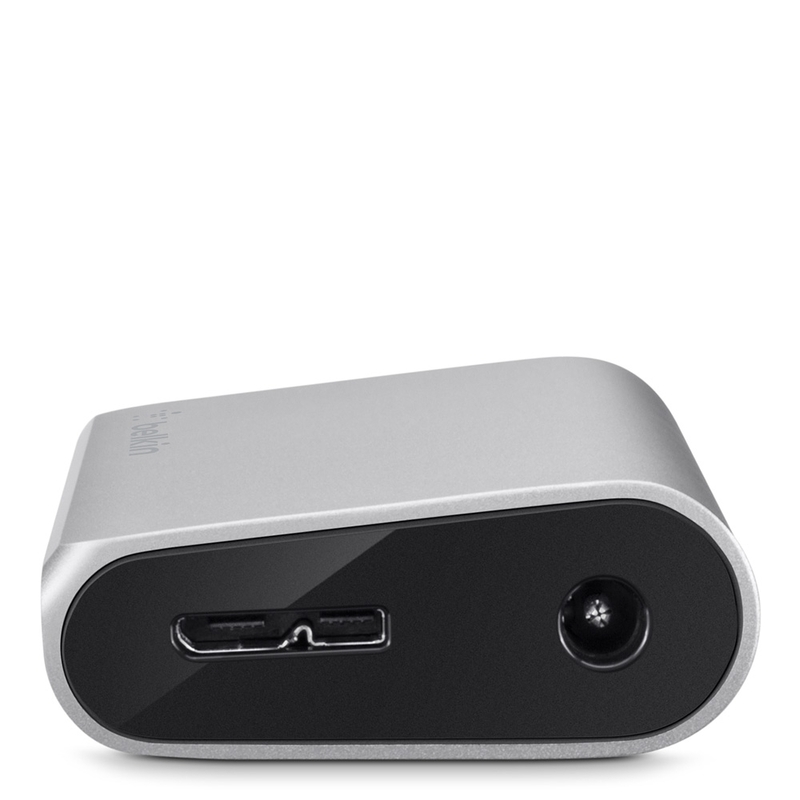 It is also backwards compatible with USB 2.0 devices. 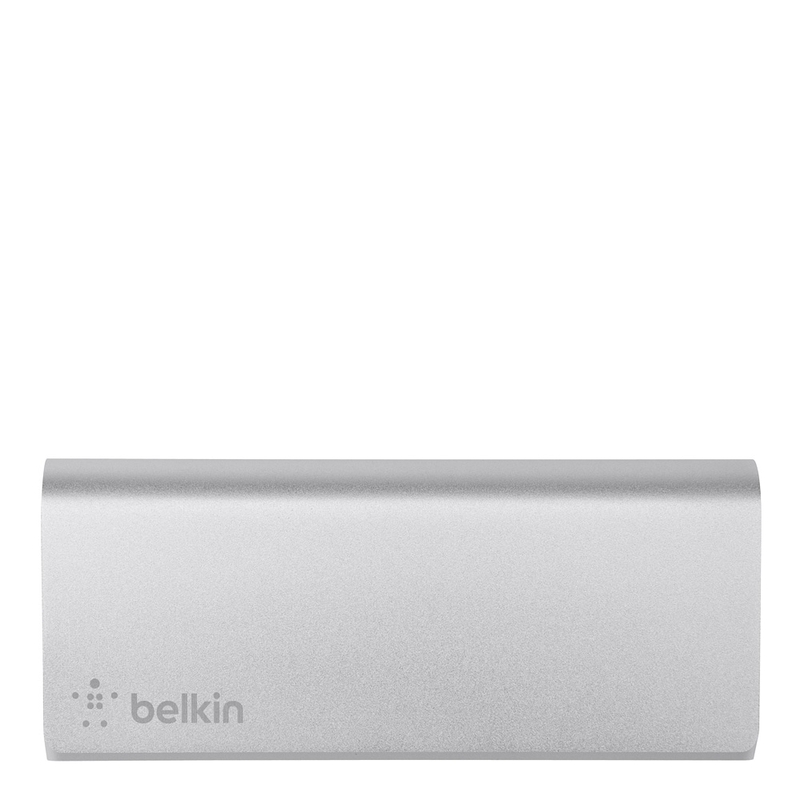 The sleek aluminum design is portable and pairs nicely with low profile laptops and ultrabooks. 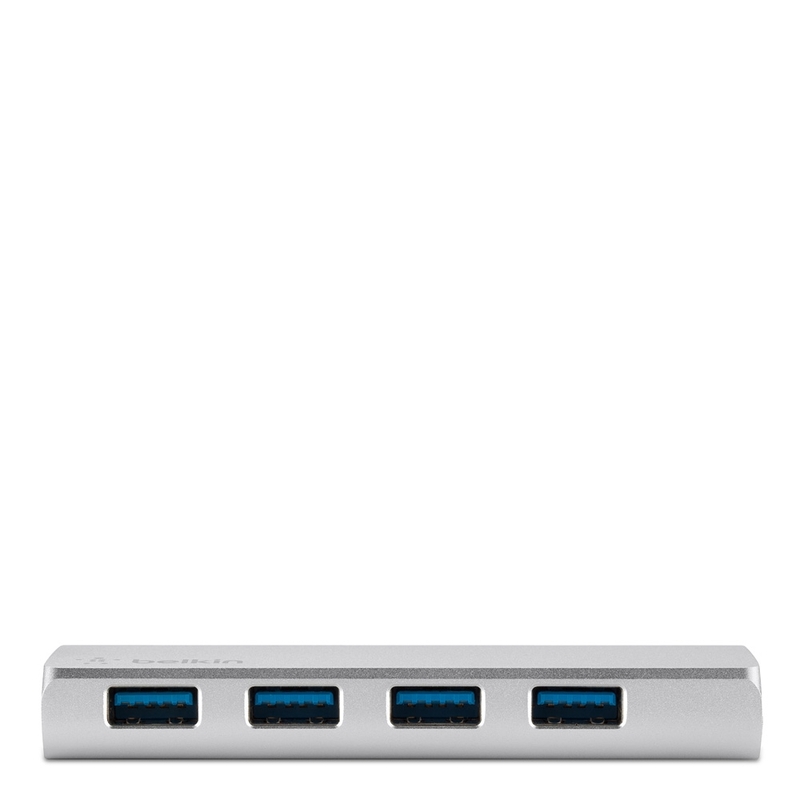 System Requirements: Macs with OS X v10.8 or higher, PCs with Windows XP, Windows 7 or Windows 8 and an available USB 3.0 port.